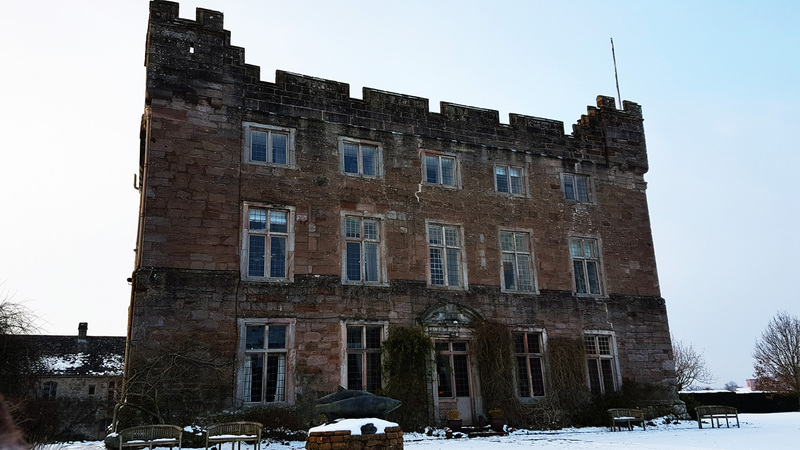 It`s taken me far too long to get myself over to Askham hall and after staying there for a night I really can`t wait to return again. For those wanting a hidden escape in a romantic little Cumbrian village then this is definitely the place to head to. 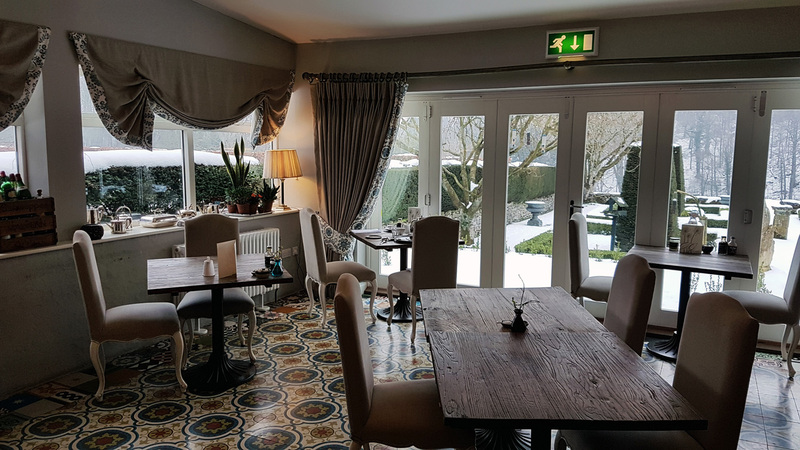 The 13th century hotel (formerly the family home of the Lowther family) has been modernised and totally refurbished and can now stand head to head alongside the best hotels on the market. 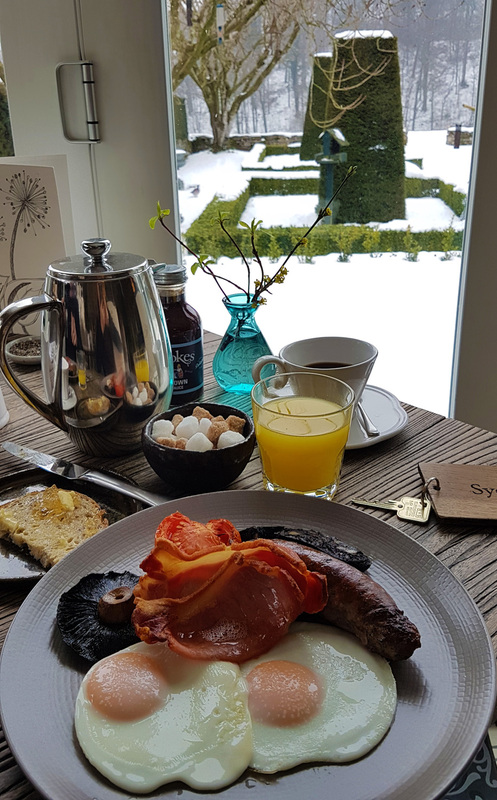 I paid £150 for a room with breakfast and for that I really did get something very special that many other hotels really can`t offer….The “Part of the family” experience. 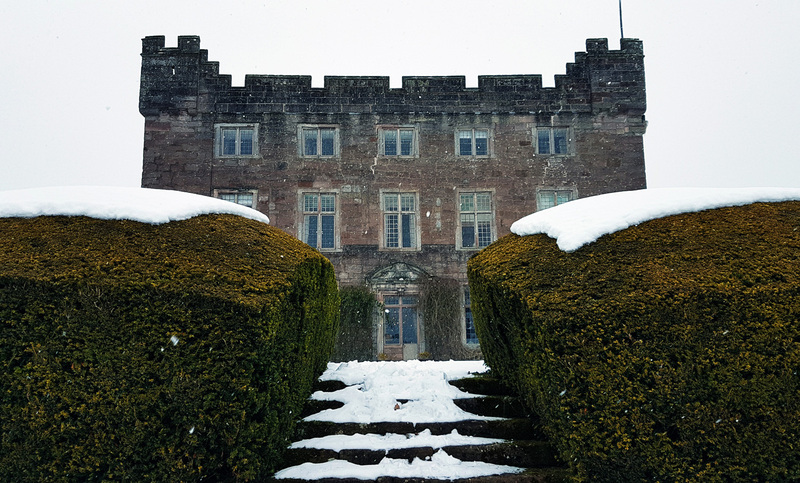 Nico Chieze the hotel manager spent 14 years working at Sharrow Bay country house hotel and also the Michelin 3 starred Waterside inn (Roux family). Anyone with that level of training on board is worth their weight in Gold and as a result the Askham guest service was faultless perfection. Family heirlooms , photo albums and hand me downs grace every available space throughout the hotel lounge areas. 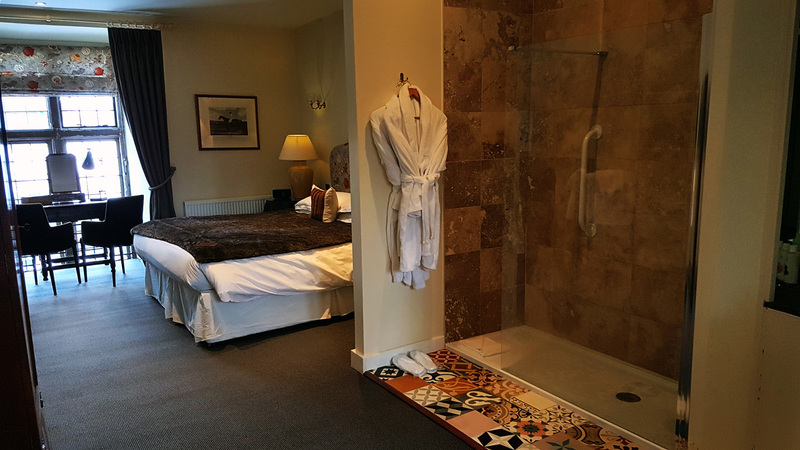 Upstairs there`s been a full dose of refurbishment and the bedrooms all ooze luxury and up to date modern design. There`s also an extensively stocked bar in the lounge which operates as an `honesty` bar. 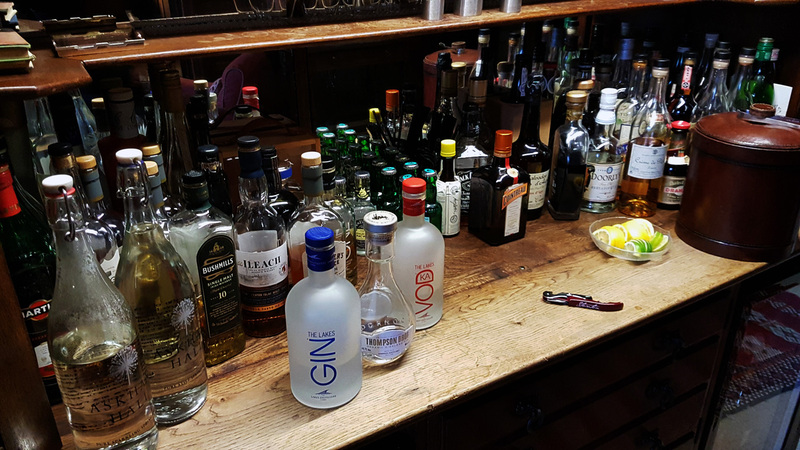 It`s the first time i`ve ever come across one of these where the guests help themselves to drinks , write down what they`ve consumed and it`s all added to the bill upon checkout. Chef Richard Swale came over as very pleasant young gent and runs a small brigade of 4 in an extremely quiet little open kitchen alongside the restaurant. You`ll find him on facebook, Twitter and Instagram. 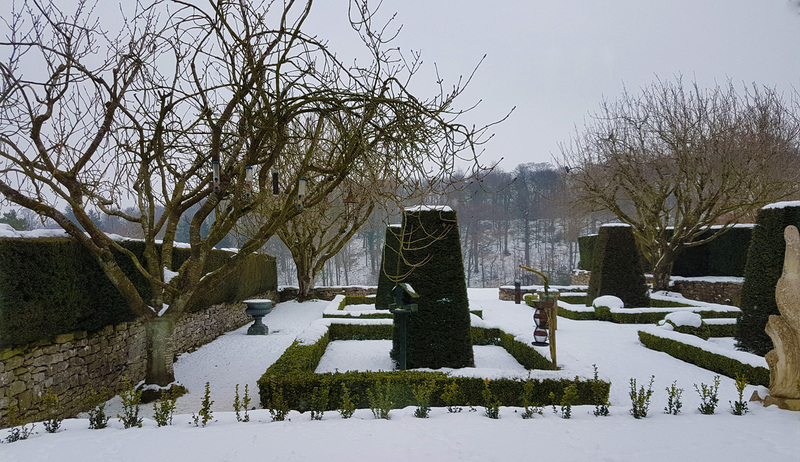 Richard has been in control of the kitchens at Askham Hall under the consultancy of Chef Steve Doherty (First Chef in the UK to run a 3 star Michelin kitchen at London`s Le Gavroche). 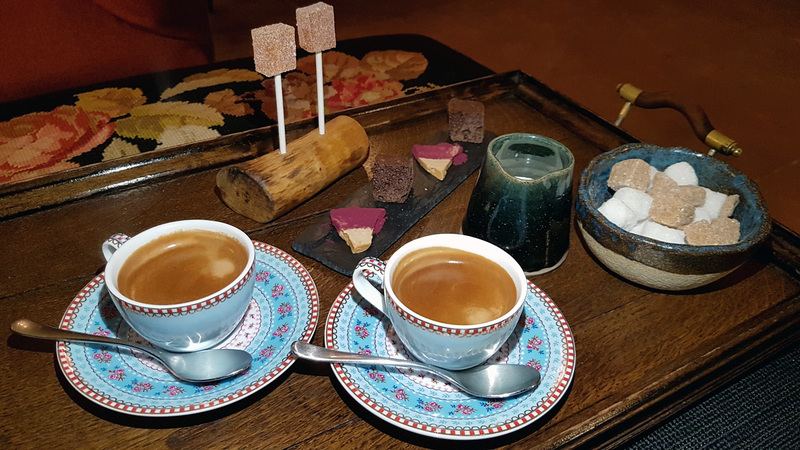 Richard has a pretty good kitchen grounding and has worked for John Burton Race and Anthony Demetre prior to returning to Cumbria and Askham hall. 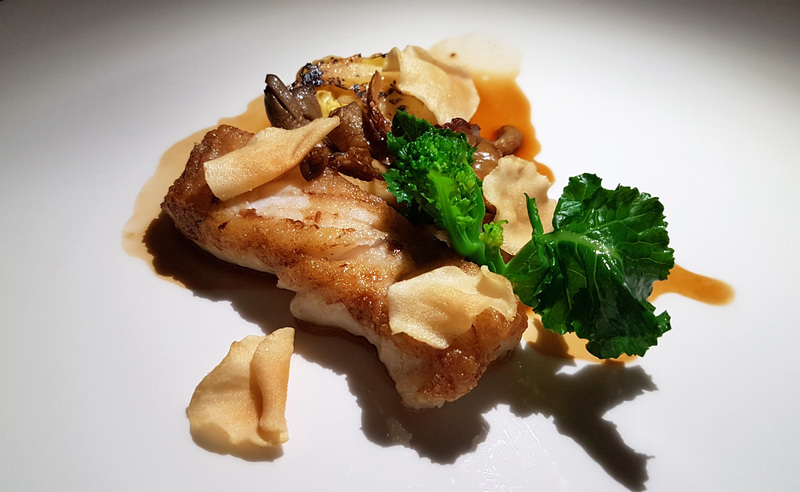 Experience in Copenhagen`s Noma restaurant and Marc Veyrat in Annecy also stand very proudly on Chefs C.V. For Wine lovers – You can`t go wrong. 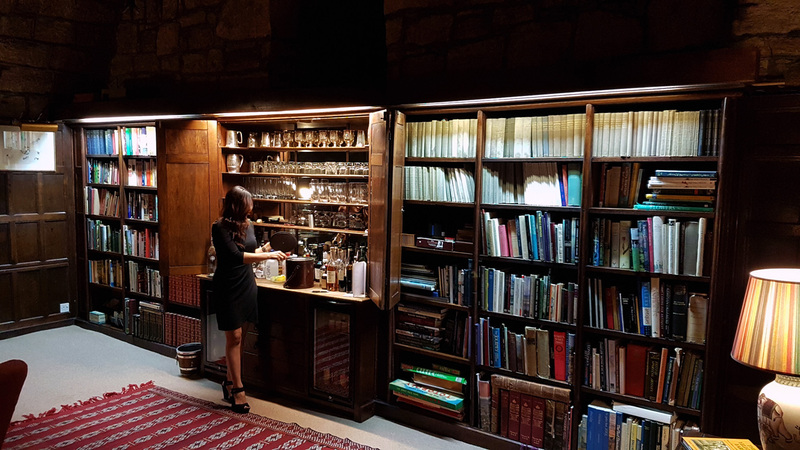 Owner Charles Lowther has a passion for the stuff and holds a cellar full of Classic Bordeaux and Burgundy vintages collected over the years. 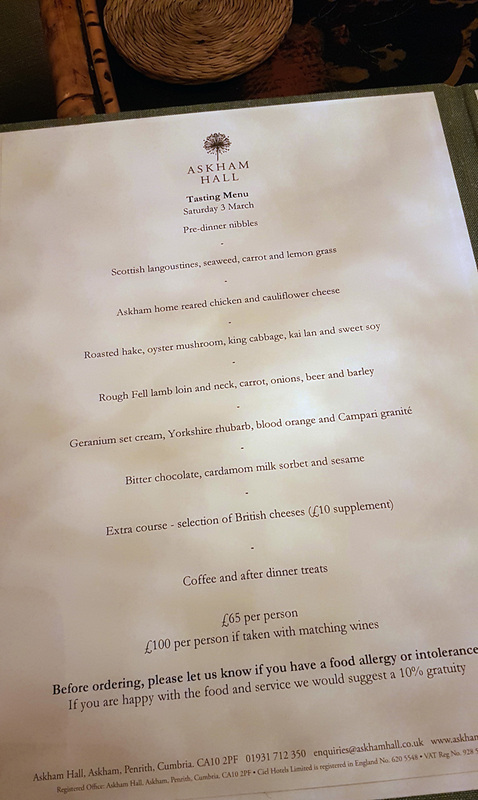 The Askham Hall tasting menu is priced at £65 . We also chose the wine flight to accompany the food which was priced at a very reasonable £ 35. Wine service is very knowlegable , available by the glass and there`s bottles to suit all pockets. 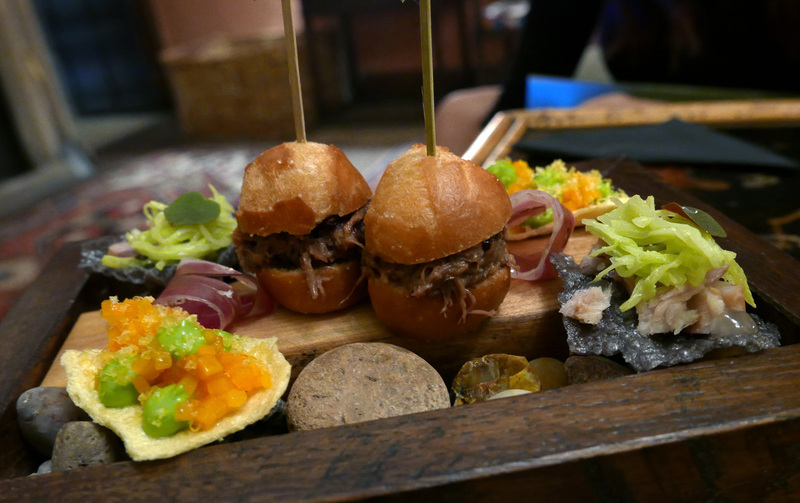 Pre-dinner nibbles – A nice selection of well made Amuse. Rough Fell Lamb loin and neck, Carrot, Onions, Beer and Barley. 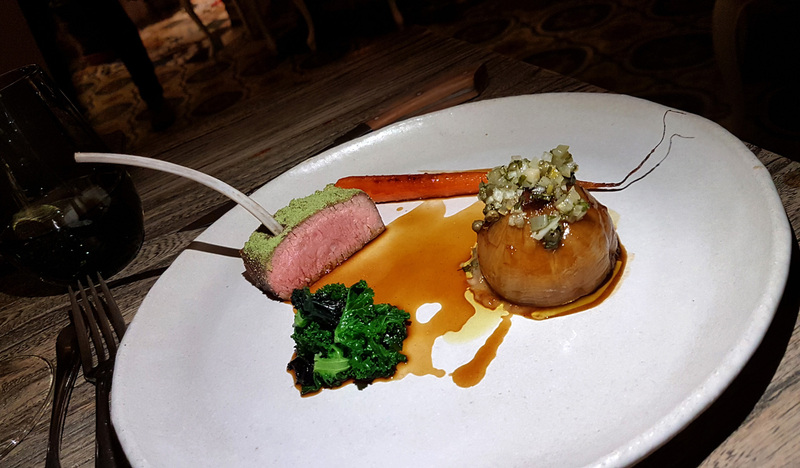 Accurately cooked and good tasting Lamb from the Lake district fells came with an amazing little treat from restaurant manager Nico. A tiny drip from a shower light in our hotel room unfortunately resulted in us having to move rooms upon our arrival at the hotel. As a very kind gesture we were given 2 glasses of Pauillac (Château Lynch-Bages, 5th growth ,Grand Cru ) from a £285 bottle . Now that was an amazing pairing for the Lamb dish and my first ever taste of high end quality Wine. 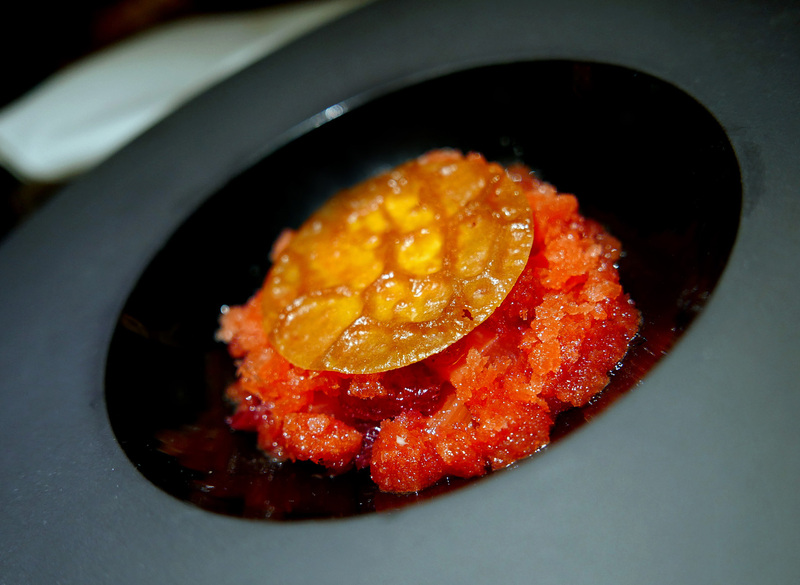 Geranium set Cream, Yorkshire Rhubarb, Blood Orange and Campari granite – So strange how a pre-dessert can shine out from a menu as the best dish of the evening. This one could stand up on any high end menu anywhere in the world , absolute perfection and a perfect blend of powerful flavours….and yet so simple. 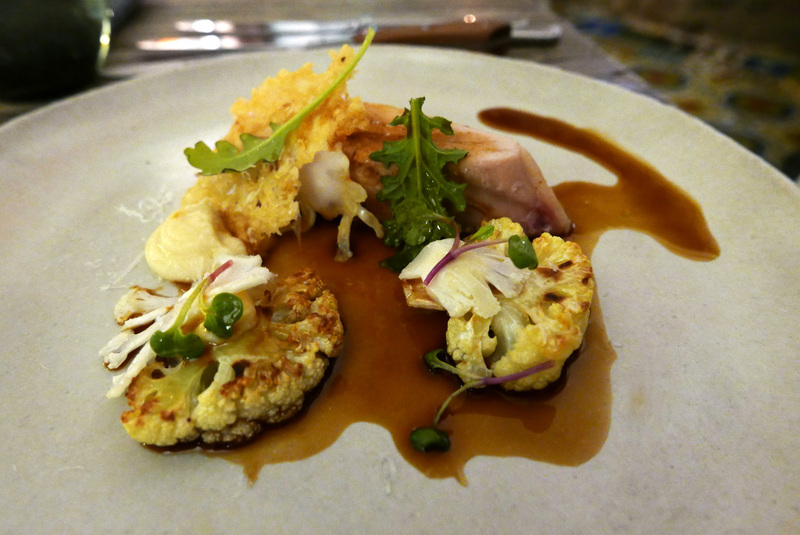 Food , and my Personal opinion only – I think Chef is definitely on course for bigger and better things in the near future. A bit more attention to detail and the utilisation of the abundance of free wild ingredients around him will definitely raise the bar. 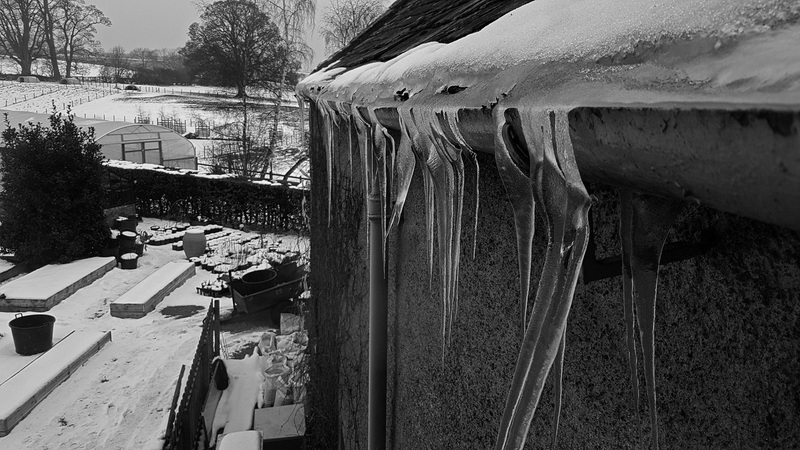 I expected to see Rabbit , Hare , Pheasant , Venison , Wild Trout etc on the menu but there wasn`t a single one in sight. The Askham location is right in the heart of the Lowther estates and there`s natural fresh produce in a 360 degree direction…..it`s everywhere. Fields , rivers , woodland , meadows and hedgerows scream out to be explored and harvested. Cumbria has so much amazing produce to offer this talented Chef. 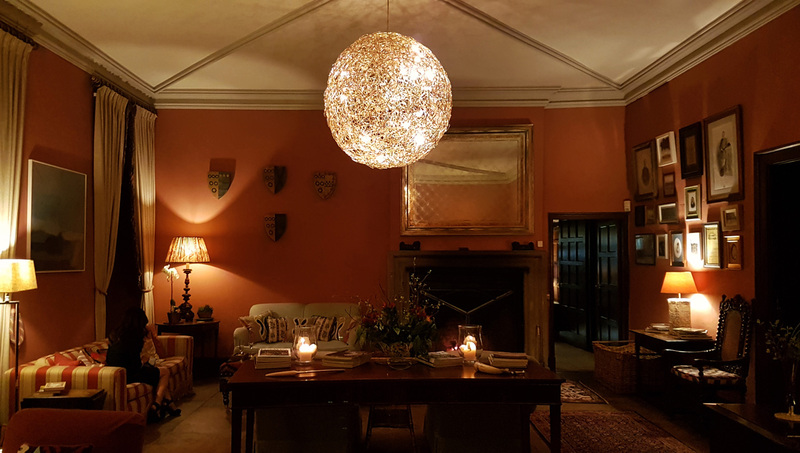 I spoke to a couple of well known critics from London about my experience at Askham hall…. They didn`t even know that the place existed. So it might be a good idea to get the P.R. people on board and get this Cumbrian Diamond shining down country. 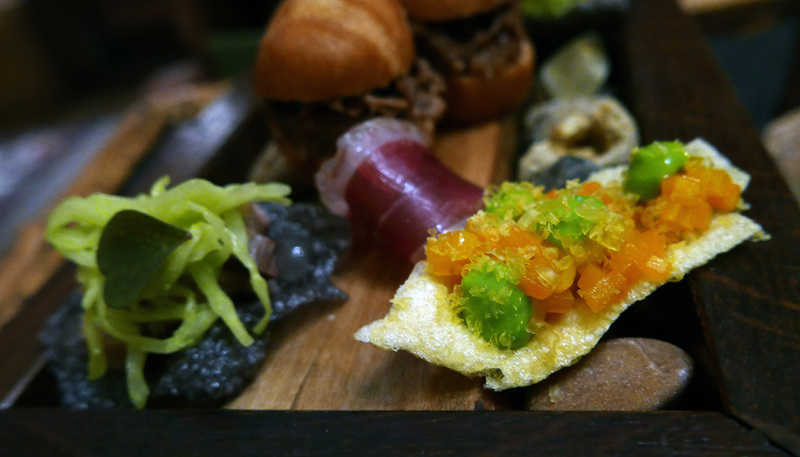 Oh and Chef….. Get your food networking worldwide. Twitter and Instagram food freaks are begging for a regular photo feed of kitchen creations for our geeky addiction. See you guys again very soon…. The Summer produce should be a whole new ball game. I`ll definitely be back soon , Cheers. 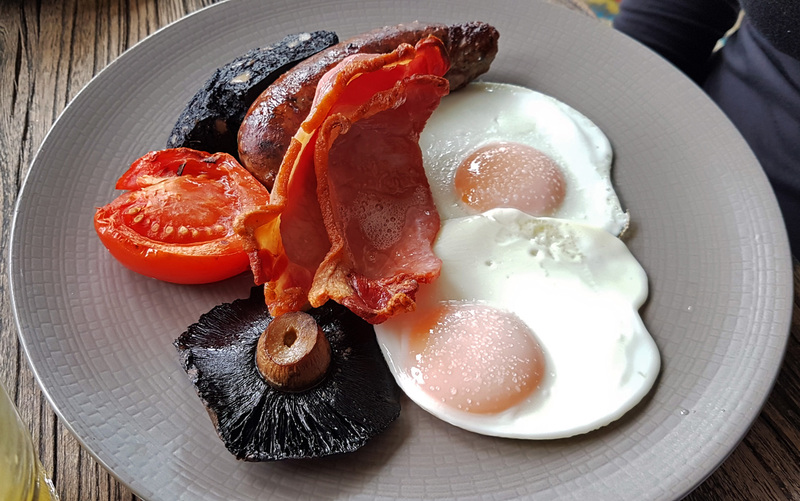 Another good reason to stay over…..Lovely Full English Breakfast. We sat watching 4 grazing Deer whilst eating our Breakfast as well as a dozen species of Birds in the garden. 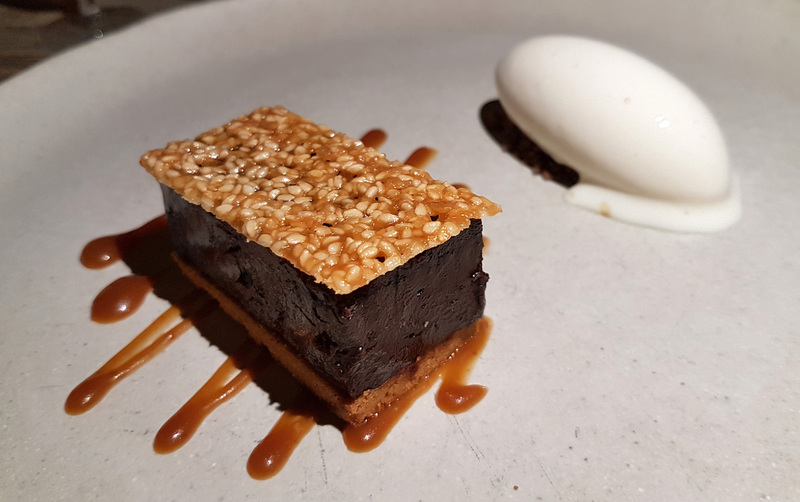 Next Post Restaurant Mark Greenaway – Edinburgh.